Well, I am loving Summer so much right now! It has been so much fun especially because it's go go go and never stop, which is awesome because I love being busy. So earlier this week I went to the river with some friends, it was no extravagant vacation by any means, but it was PERFECT! We all relaxed and just had a blast. 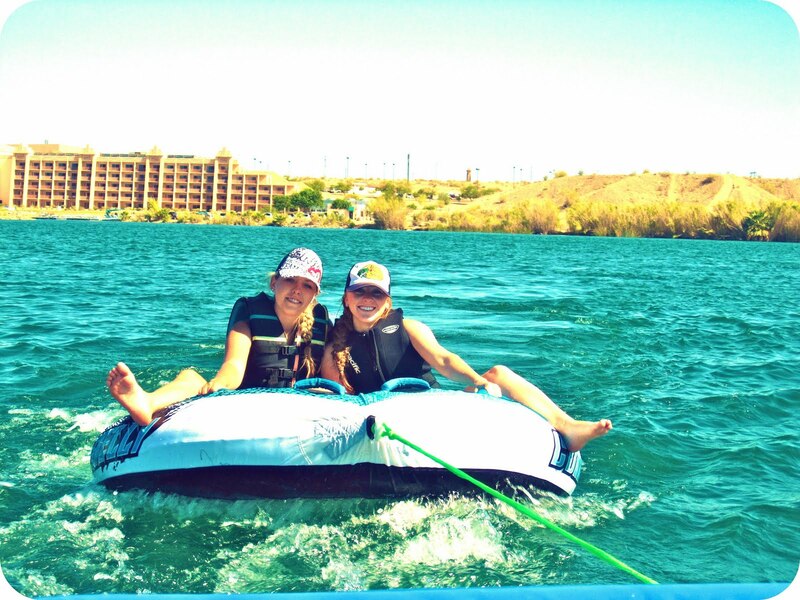 One of my favorite parts of the trip was going tubing! 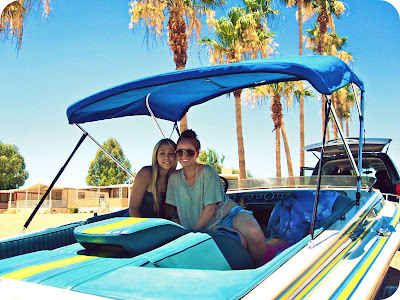 It brought back so many fun memories of my family and I going to Lake Powell over the Summer and water skiing, sea-doing, boating and just having fun! 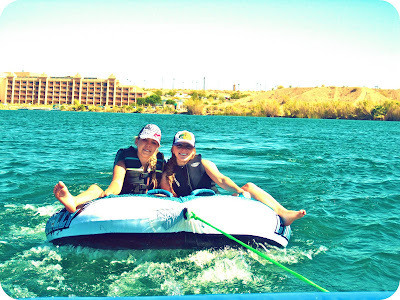 Tubing was so much fun and it was awesome because my boyfriend has a boat...yes a boat. And for as much trouble that thing gave us, it was absolutely worth it. Oh, and for the biggest news...I GOT TAN! Well, a little bit that is, I think I was just more excited to come home without one sunburn. So here are some pictures from our awesome trip to Parker!